Policies are typically written on a vehicle-by- vehicle basis, protecting the owner and driver if the vehicle is involved in a collision, stolen, or otherwise damaged. It’s clear, straight- forward, and as established as almost any business practice. While demographic shifts are gradual, technology is advancing and social attitudes are shifting at a fairly rapid rate. Ridesharing trips have nearly tripled in five years in the United States, and six states and Washington, DC, have already authorized the testing of fully autonomous vehicles. 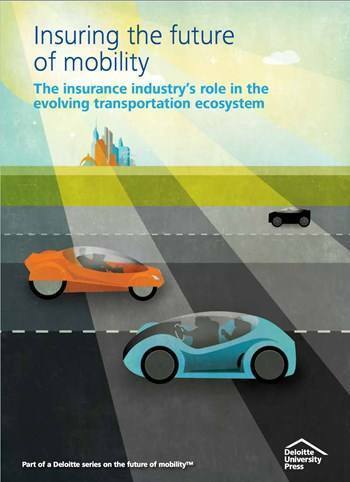 With the emergence of a fundamentally different future mobility ecosys- tem, insurers have an opportunity to shape the auto insurance markets of tomorrow.